*NEW* - Full time employee at Internet Society (ISOC), Deploy360 team (Operational Engagement Programme Manager), working from home office in Slovenia. IPv6 Awareness: Actively involved in generic world-wide IPv6 introduction, awareness, implementation and getting IPv6 to criticall mass of deployment a.s.a.p. IPv6 Activism: Founder and CEO of Slovenian Go6 Institute. IPv6 Consultancy: Showing the right directions, choices and architectures in application/service/network transition planing from IPv4 to dual-stack (IPv4/IPv6), as needed by content, hosting or service providers. Experience with big IPv6 deployments at operators, content providers and other entities. IPv6 frequent flyer: Speaking around the world at various conferences and events about general IPv6 issues and deployment and also about excellent IPv6 work done in Slovenia. Primary co-author of IPv6 procurement document, known as RIPE-501, titled "Requirements for IPv6 in ICT equipment". Replacement document was already confirmed and will get a new RIPE number, curently in process. PDF of a confirmed replacement draft. Co-author and chair of the authors group of IPv6 study for Slovenian Government, titled "Study: Transition to IPv6 (Guidelines for deliberation on the National IPv6 Strategy)". 7 authors, 11 key questions, many answers. Document is translated and available also in English language. Holding governmental security clearance approval to access confidential classified information. R&D of DSMIP6-TLS with Nokia. Dual-Stack Mobile IPv6 with TLS encryption is a way of doing mobility in IPv6. Experience in live internet video broadcast (Real A/V) from various places around the world. UNIX - several variants, but not in everyday use. MTA's and other mail software : Software.com's InterMail Kx, Software.com's Post.Office, Postfix (IPv4/IPv6), Sendmail, Zmailer, qpopper, Cyrus, Dovecot (IPv4/IPv6). NNTP: INN, HighWind Cyclone, HighWind Typhoon. As we know, IPv4 address space depletion at IANA happened on 3. February 2011 and we should prepare and implement IPv6. Strong proponent of "doing it right" migration procedure. Consultancy for content, hosting and service providers about how to "do it right" and in cost-effective and efficient way. 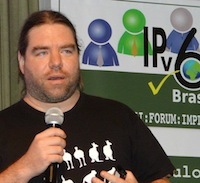 (15.June.2011) World IPv6 summit, London - member of program committee, moderating panel about IPv6 procurement. Primary author (co-authoring with Sander Steffann) of official RIPE-NCC BCP document RIPE-501 - "Requirements For IPv6 in ICT Equipment". This document was a big success and is now translated in more than 10 languages. It is used for ICT equipment procurement process at many enterprises, operators and also some governments. Next version of RIPE-501 document, co-authoring with Sander Steffann and Merike Kaeo, now published as RIPE-554. A+P approach IETF RFC6346 - co-authored IETF RFC6346 with Randy Bush (IIJ), Olaf Maennel (Longoborough university), Luca Cittadini, Steven Bellovin, Gabor Bajko (Nokia), Teemu Savolainen (Nokia), Mohammed Boucadair (France Telecom) and Reinaldo Penno (Juniper). This draft discusses the possibility of address sharing by treating some of the port number bits as part of an extended IPv4 address (Address plus Port, or A+P). R&D of DSMIP6-TLS with Nokia (NRC). Dual-Stack Mobile IPv6 with TLS encryption is a way of doing mobility in IPv6. Set up a Home Agent server in Slovenia, researching possibilities of new services in real mobility environment. Created or helped create several LIRs in Slovenia and was actively involved in process of LIR setup and getting resources for LIR from RIPE. http://kec.siol.net/ - Internet reportage of sunken German desant boat in Slovenian sea. ??? '94 - Apr. `96: Telecom Slovenia, unit Nova Gorica - Novell Administrator. Responsible for 3 Novell servers and whole computer network in our Telecom unit, cca. 200 people. Internet access and common internet usage for local users. Apr. 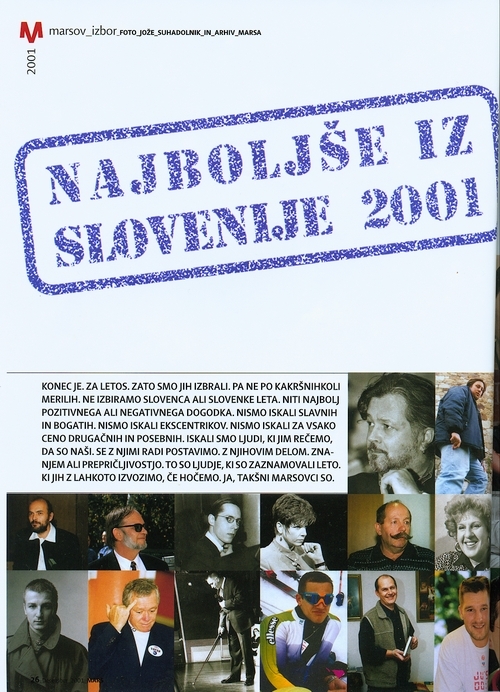 `96 - Dec '99: Telecom Slovenia, Internet unit (SiOL). System Administrator. Responsible for 15 Sun servers, most of internet services and research/implementation of new services. Started and built SiOL Internet from scratch (consequent number 3 in company). News server hub and news server reader. Optimisation and fine tuning of all above for medium sized ISP with 100,000 users. Biggest slovenian ISP internet services policy, implementation, installation and research, started with 0 users (nowadays ~100.000). A/V multicast (mbone), IPv6 (6bone), HP OpenView system, 2nd level user support. Dec '99 - Dec '01: SiOL Internet - Technical marketing & Content division. After succesfull internet coverage Daulaghiri '99 Live (Tomaz Humar) I was transferred from technical department to technical marketing & content division. Chat and WebChat server ConferenceRoom by Webmaster inc. Various services needed for my internet live projects. Content and content services (A/V) on our portal http://www.siol.net/ , operations and logistics for extreme live coverage of extreme events. Everything listed under "installed" and under "installed" in previous chapter. Video editing software (Vegas video, Adobe Premiere, DV Studio). Various A/V encoders and servers. Experimented with Packet video platform. Great interest in implementing content over mobile networks. Feb '02 - 31.12.2006: Select technology d.o.o. - Senior sys admin and project manager. Completly new content production and transcoding system for RTV-Slo MultiMedia Centre. RealAV system on RTV Slo. 15.1.2007 to present: Pragma, Jan Žorž s.p. - owner. Research, development, integration and consulting in area of multimedia, A/V streaming, internet services, ISP operations and all other areas, covered above. 01.06.2009 to present: Go6 institute - slovenian IPv6 initiative - co-founder. The go6 institute is a not-for-profit institution whose mission is to create an open platform for knowledge and service exchange between its members, and to push IPv6 deployment in Slovenia. The go6 Institute is funded by members that consist of ISPs, content providers, HW vendors, as well as other industry stakeholders. In addition, the go6 Institute runs a v6 lab to test and certify HW and SW on IPv6. The go6 Institute works closely with the Slovenian government, and is currently co-authoring guidelines and a plan of action for IPv6 deployment with Slovenia's Ministry of Science and Technology. For additional information on the Go6 institute, please visit http://www.go6.si/. Press conference speaker at the end of Daulaghiri project. Press conference speaker at the end of Lhotse project. CNN - Interview about internet coverage of Daulaghiri. Press conference speaker at the begining and the end of TransAustralia footrace project. Short interviews for almost all newspapers and magazines about Daulaghiri project. Long interview about technology and logistics in Daulaghiri for Delo newspaper (information technology). Viktor '99 for special achievement (media award, small statue). Short interviews for almost all newspapers and magazines about Ski Everest 2000. Long interview about technology and logistics in Ski Everest project for Delo newspaper (information technologies part). Long interview about technology and logistics in Ski Everest project in Connect magazine (mobile communications magazine). Interview about KEC, I think in two or three newspapers. Like TV and newspaper appearance, I had several radio interviews, long, short, I don't remember all of them. Here you can read the article - introduction , interview .